In the heart of New Zealand’s cultural capital, a hub for creative students is about to emerge. The Council and Executive of Whitireia New Zealand and the Wellington Institute of Technology (Weltec) have merged their programmes to create Te Auaha – the New Zealand Institute of Applied Creativity. 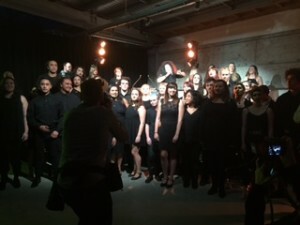 The Institute is the outcome of a collaboration between teaching staff, management, students, iwi, Pasifica, council, creative leaders and industry partners. Te Auaha seeks to provide a dynamic learning and teaching environment that ‘makes and remakes future creative technologies and the arts by inspiring creativity and nurturing talent’. 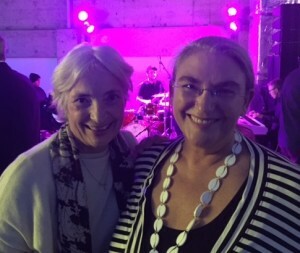 Wendy McGuinness, the McGuinness Institute’s Chief Executive, attended the Te Auaha launch on Tuesday, 24 May 2016. We are looking forward to seeing the development of Te Auaha’s ‘creative hub’. 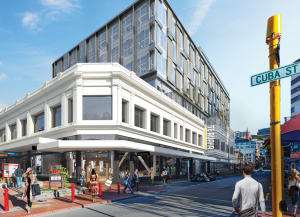 Opening in 2018, Te Auaha will be a space for 1,000 domestic and international students who will learn together in an exciting new campus, located on the corner of Cuba and Dixon Streets. Te Auaha aims to be an integrated centre for applied creative learning, bringing new life to Wellington’s artistic and cultural communities. a 250-seat theatre and a 60-seat cinema. Te Auaha is founded on five pillars: creative leadership and talent development; industry inspired and community led; made in Aotearoa and shared with the world; diversified income and shared investment; and a ‘real time, show time’ creative hub. Te Auaha is now inviting organisations and individuals to join with them to deliver on their vision of a ‘world-class institute for applied creativity’. To find out more please contact Te Auaha at teauaha@wandw.ac.nz. 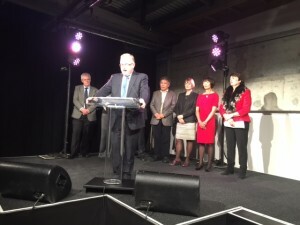 The merging of Whitireia New Zealand and the Wellington Institute of Technology (Weltec) builds on Sir Paul Callaghan’s vision of making New Zealand ‘a place where talent wants to live’. We have recently published Think Piece 25: The changing purpose of tertiary education, which explores how the tertiary education system could change today in order to foster the development of skills that will be required of New Zealanders in the long term. Check out the TalentNZ website to learn more about the Menu of Initiatives which explores ways to create a talent-based economy.